Frank J. Dugan Elementary School Home of the Dragons! I must begin by sharing how humbled and honored I am to serve as the next Principal of Frank J. Dugan Elementary School. I am a passionate educational leader who is dedicated to inspire our staff and children to continuously grow. Serving as an advocate for children, I welcome the opportunity to collaborate with district staff, families, and community members to ensure that all benefit from high-quality instruction, data-driven decisions, and personalized, blended learning. High expectations are pervasive throughout this district and my plan is to settle for nothing less than the excellence that makes us Marlboro. I am proud of my career accomplishments. 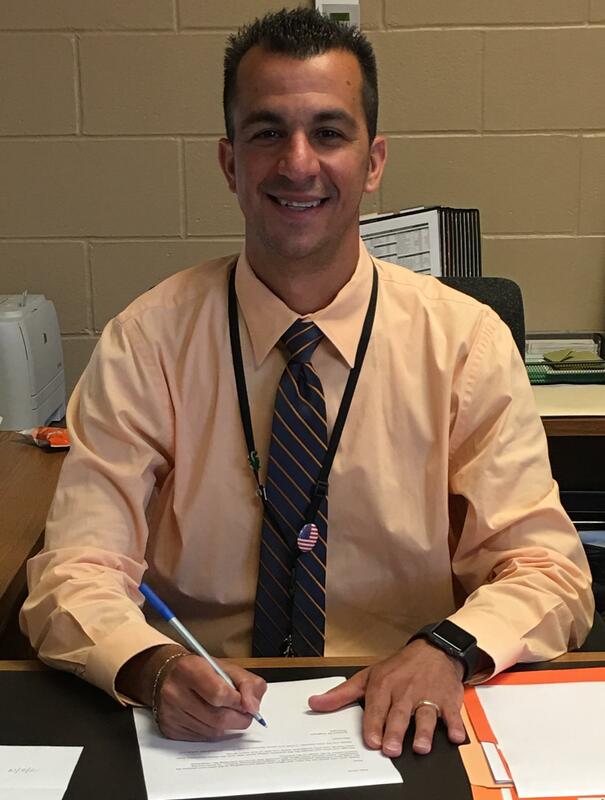 Having served the Marlboro Township Public School District since 2006, I have held positions at Marlboro Memorial Middle School, the David C. Abbott Early Learning Center, and as a District Curriculum Supervisor of Instructional Technology. My unwavering loyalty to this school district has carved a winding path to Dugan Elementary; simply put, I am one of the newest and proudest Dugan Dragons! I look forward to committing myself to a school vision that propagates lifelong learning while fostering students creatively and innovatively so that each individual can reach their optimal potential. Great leaders aspire to lead by serving the needs of their people. At home, this means being a devoted husband to my wife, Samantha--who is also an educator--and father to my 18-month old daughter, Gianna. Despite these past twelve years doing what is best for children, nothing has offered me a greater perspective to our responsibility and our impact than becoming a parent myself. Thank you for sharing your children with us each and every day. Please know that my door is always open and that I encourage you to become an active participant in your child’s educational journey.